Why does this keep happening? And why now? Why did everyone and their mom decide to make a run at the king at the same damn time? First, Shake Shack truthers rolled into town saying In-N-Out’s reign was over. Then CaliBurger—the comically blatant knockoff that started in China and got sued because they tried to steal the term Animal Style—stormed the gate and announced a Pasadena location. Anyone who knows anything about ground meat on bread can tell you that those are the exact components of an In-N-Out Double-Double; that part’s obvious. But there’s a strange, alarming piece in the California Classic puzzle: the so-called Thousand Island dressing. 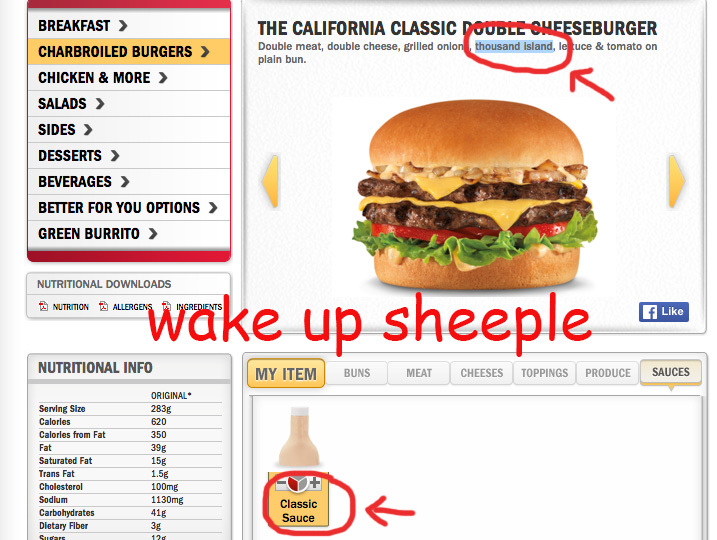 This is about to get all jet-fuel-doesn’t-melt-steel-beams-y here, but if you go to Carl’s Jr.’s online ingredients list, Thousand Island is nowhere to be found. It just doesn’t exist. But maybe the list just hasn’t updated, right? After all, the California Classic only came out a week ago. Sure, believe that if you want, but let’s dive a little deeper and see how far the rabbit hole goes. Wait a minute, Carl. I thought there was Thousand Island on the burger. Is it Thousand Island or Classic Sauce? What exactly am I eating here? CARL’S JR. IS LITERALLY USING THE SAME SAUCE UNDER TWO DIFFERENT NAMES TO RIP OFF TWO DIFFERENT FAST-FOOD COMPETITORS THAT USE ENTIRELY DIFFERENT SAUCES MADE WITH ENTIRELY DIFFERENT INGREDIENTS. MCDONALD’S SPECIAL SAUCE GETS ITS PINK COLOR FROM TURMERIC AND PAPRIKA EXTRACT AND IN-N-OUT’S SPREAD USES KETCHUP. WHY ARE YOU NOT OUTRAGED BY THIS? BIG FOOD IS TRYING TO DUPE US ALL. Run the video back a few times and turn the volume all the way up. Something sounds off. After he says “grilled onions” there’s a strange break in sound before he says “Thousand Island.” It’s a blatant example of automated dialogue replacement (ADR), where Mohr’s voice was recorded after the initial video was shot and dubbed in. But why? An actor as accomplished as Jay Mohr should be able to nail “Thousand Island” in one take, right? Unless that’s not what he was saying at all. Look closely at his mouth at the 11 second mark. You can almost see it making out the letters “C-L-A-S-S-I”—my God, how deep does this thing go??? I think I know why, Jerry. Even though Thousand Island dressing originated as a ritzy salad topper in the Thousand Islands region along the St. Lawrence River sometime in the early 1900s, if you look at Wikipedia’s entry for modern-day uses, you’ll see a familiar name drop. 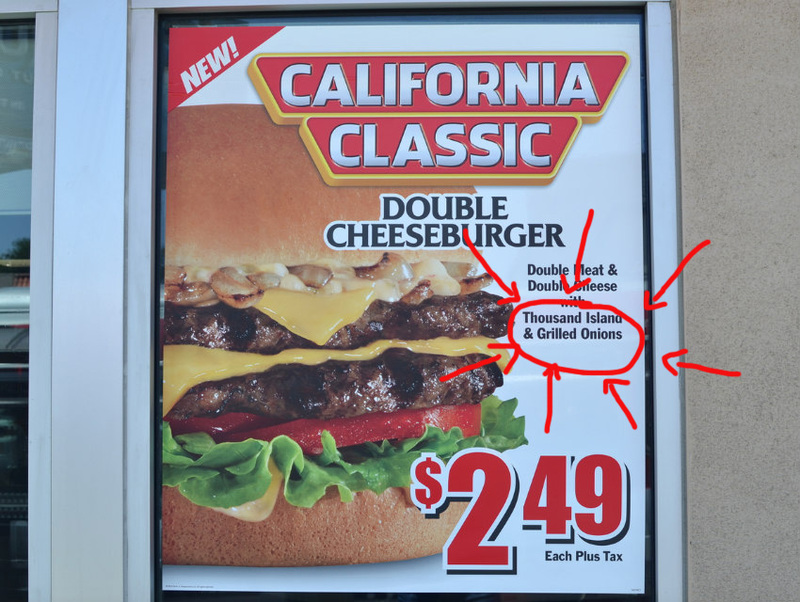 Even though In-N-Out never directly uses the term Thousand Island, they are clearly connected in the public’s collective consciousness. So, Carl’s Jr. is deliberately misrepresenting their Classic Sauce—which was originally meant to mimic McDonald’s Special Sauce—as Thousand Island to more directly capitalize on the In-N-Out association, and they’re dragging future perennial Pro Bowl running back Todd Gurley into their web of deception. And I’m mad about it. 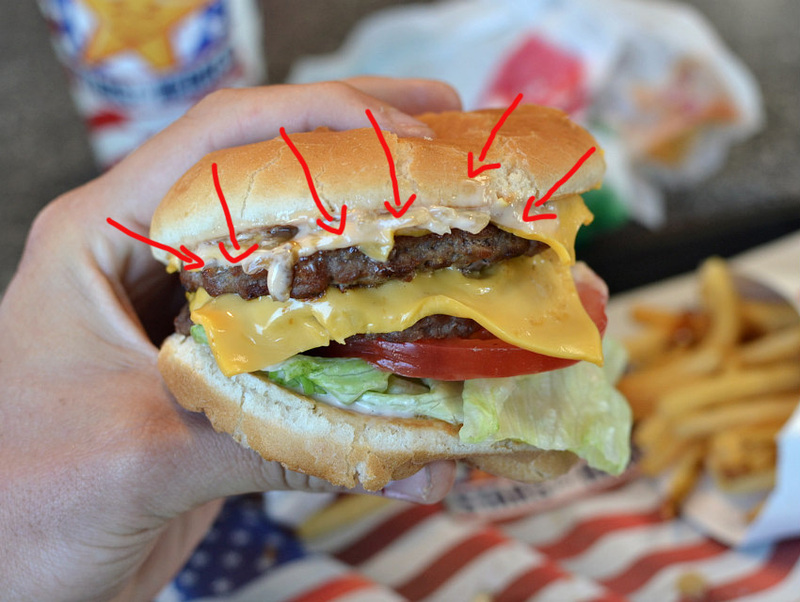 tl;dr: I had the California Classic Double Cheeseburger for lunch yesterday. It was ok. Kinda tasted like In-N-Out.